This wooden tube was part of William Herschel's 20 foot reflecting telescope. The tube, built in 1783, is made of long, flat solid wooden planks of English pine arranged to form an octagonal tube. 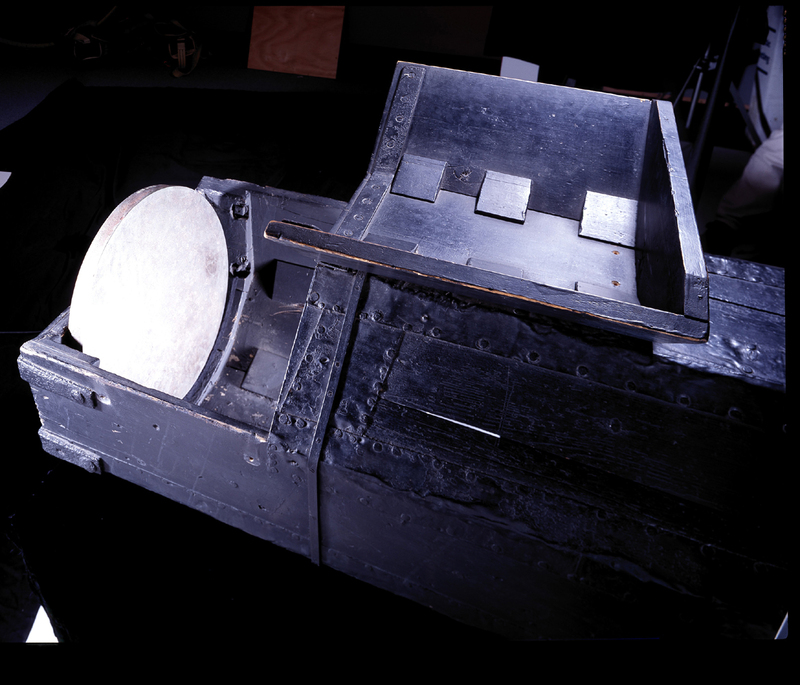 A hinged hatch at the lower end of the tube allows access to the 18.7 inch mirror. In operation the astronomer observed the image of the sky by peering down the tube from the end opposite the mirror, sometimes using a selection of eyepiece lenses. With this telescope, Herschel and his son discovered thousand of nebula and star clusters and mapped the entire sky. In 1820 he and his son rebuilt the telescope, said to have been his favorite, to fix deterioration after years of use. It was lent to NASM in 2001 by Britain's National Maritime Museum in Greenwich. It is currently on display in the Explore the Universe gallery.